The Centre for HCI Design has an international reputation in interaction design research, centred around innovative applications for embedding smart technology in everyday environments, advanced technologies for healthcare and new ways for a diverse range of users to access and retrieve information. We conduct studies of individual and collaborative interactions in challenging fields ranging from healthcare, to intelligent systems and computer games, develop and apply theoretical approaches to modelling work, design and prototype innovative interfaces and investigate and develop usability evaluation techniques. User involvement and co-design are intrinsic to our research. 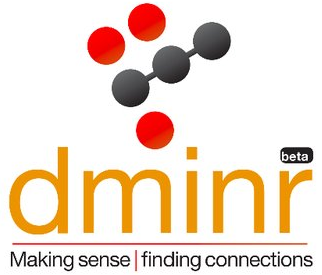 DMINR is a research and verification tool to help journalists work with big data and conduct investigations in the digital era. DMINR will act as a verification tool to quickly find information to help verify (or debunk) facts - particularly timely and important in the era of fake news. The project aims to identify fundamental trust, identity, privacy and security (TIPS) challenges faced by those living with HIV, and to design and evaluate new online tools for people with HIV to manage how they share data they have created themselves with their peers, clincians and other organisations. The INCA project is empowering people with aphasia to create, access and curate digital content through innovative technologies. Two new technologies will be developed through a process of co-design before being implemented and evaluated within community projects. The EPSRC-funded SCAMPI project will develop a digital home-based toolkit that will allow someone with dementia or Parkinson's, together with their relatives, carers and healthcare professionals, to better self-manage their health by monitoring their quality of life plan with sensors. Funded by the Stroke Association, the EVA Park Aphasia Groups project is investigating what happens when group support is delivered to people with aphasia through a virtual world. Measures of feasibility, acceptability, well-being and social-connectedness are taken after an intervention period. The project explores and embraces the communicative affordances of graphic storytelling in general and graphic medicine in specific to adapt and communicate dementia care research. 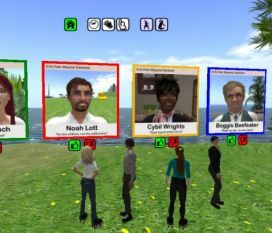 This project is delivering an enhanced version of the EVA Park virtual world for people with aphasia and trialing it with clinical pioneers who will incorporate virtual therapies into their everyday therapy practice. This project, funded by Western Power Distribution and Wales & West Utilities and led by PassivSystems Ltd, investigates how to design user interfaces for controlling the latest generation of smart heating systems to make them understandable and trustworthy. Running in parallel with the EVA Park Technology project, we are running a series of case studies to investigate how conventional speech and language therapy approaches might be adapted for delivery in a virtual world. The approaches include virtual noun naming, verb naming and story-telling. CommuniCATE is exploring the potential of everyday apps for use in therapy for people with aphasia. Funded by The Barts Charity, CommuniCATE is investigating apps for reading, writing, virtual speech therapy and online supported conversation. This project investigated how UX design and evaluation can improve the public transport passenger journey experience through the adoption and adaptation of UX tools and techniques in mobile transport app design.